True beauty and style are not superficial. They captivate and enchant. They have depth and they appeal to our deepest senses. DreamSwiss combines the features of a box-spring bed with the naturalness of a genuine Hüsler Nest – so no one has to sleep with the feel of steel springs under their back anymore. 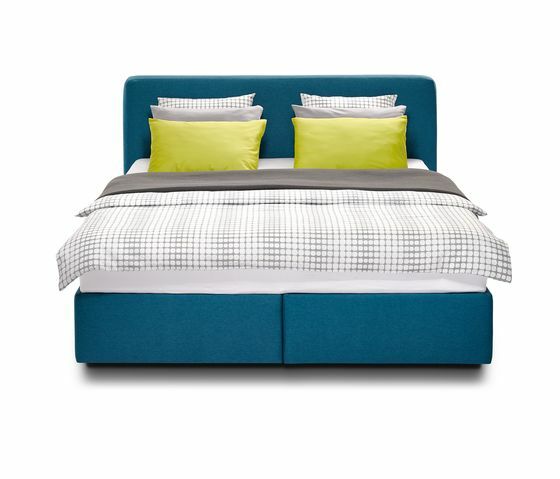 The individual components of the upholstered bed can be combined to suit every taste and every style of bedroom. Three different headboards covered in leather or fabric are available to choose from. The upholstered headboards offer you comfortable support and make reading in bed more pleasurable than ever. To ensure natural, healthy sleep it features the Hüsler Nest Designa or Unicum sleeping system. What is “healthy sleep”? Which sleeping position is best?